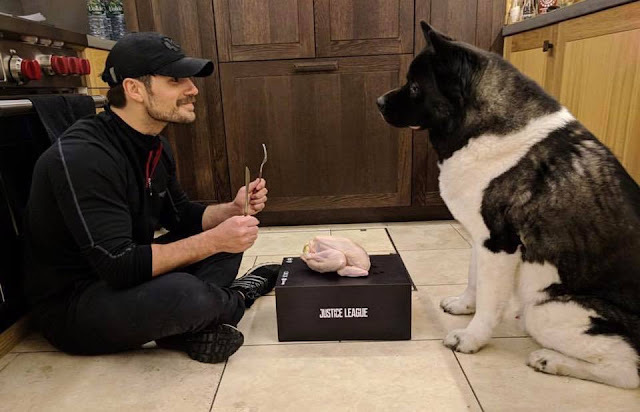 Henry Cavill News: Happy Thanksgiving From Henry & Kal! Kal's face is like "I need to eat to grow up. I've been cheated. I want my turkey, Dad." LOL He's so adorable. And Henry's face just too funny. What a nice Thanksgiving! *smiles* They are "Super-Cute"!! *kisses* D.
Henry and Kal are so "in tune" with each other. You can see and feel the energy between them!